* Wawasee gymnastics at East Noble is postponed, a make-up date was not immediately announced. * Wawasee freshman boys basketball v. NorthWood is postponed, a make-up date was not immediately announced. * Warsaw freshman boys basketball at Elkhart Memorial is postponed, a make-up date was not immediately announced. * Triton fifth grade girls basketball v. Caston is postponed, a make-up date was not immediately announced. 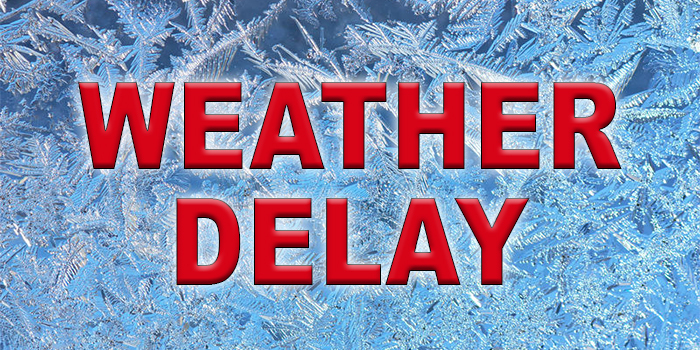 * Triton sixth grade girls basketball at Caston is postponed, a make-up date was not immediately announced. * Triton freshman boys basketball at Bremen is cancelled and will not be made up. * Triton boys junior high basketball and cheer awards are postponed, moved to Feb. 4 at 5:30 p.m. in the high school cafeteria. ***A home doubleheader for Grace’s basketball teams against Goshen have been moved up to Tuesday this week. The women’s game will start at 6 p.m. with the men’s action to follow at 8 p.m. at the Manahan Orthopaedic Capital Center. The doubleheader was moved from Wednesday as a precaution for what forecasters are predicting to be one of the coldest days in state history. Both games will be will be streamed live and free of charge at www.gclancers.com/live. * The Warsaw elementary city tournament schedule has been adjusted for this week’s weather. The tournament has been moved back a week, with the quarterfinals now starting Tuesday, Feb. 5, at 5 p.m. with four games each on the boys and girls sides. The semi-finals are set for Thursday, Feb. 7, at the WCHS Career Center and the finals are now Monday, Feb. 11 at the Tiger Den at WCHS.